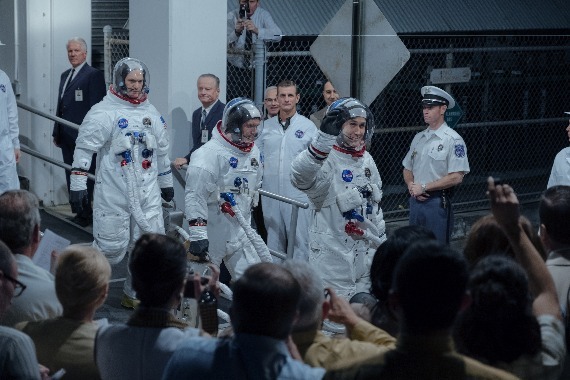 'First Man' honors both Neil Armstrong and the nation's space victory while 'Goosebumps 2' scores a direct hit with its youthful demographic. Damien Chazelle is three for three. That can be fuzzy in baseball terms, since it can mean three bunt singles or three home runs. The director of “Whiplash” and “La La Land” falls squarely on the latter side of the ledger. His latest, “First Man,” brings Neil Armstrong’s saga to the screen in ways you can’t predict. Yes, the director omits the iconic American flag moment on the moon. That fits his overall approach, offering fresh takes on nearly every biopic trope. They’re not needed. “First Man” soars with something more profound, an artistic vision that matches the history on glorious display. Captain Laconic, AKA Ryan Gosling stars as Armstrong, a man able to put his emotional life aside to help America get to the moon first. That means swallowing the pain of his young daughter’s death, losing dear colleagues and a crumbling marriage. “First Man” employs silence to bravura effect, both in Armstrong’s home and in the emptiness of space. The film’s sound design makes us feel like we’re right by Armstrong’s side for every step in his journey. Even the “giant leap” that anchors the third act. Buttons click. Switches snap. Breathing becomes a metronome of our collective hopes and fears. You can shut your eyes and let it wash over you. It’s gorgeous all the same, a spare snapshot of a justly heralded moment in history. It’s still painful to absorb at times. FAST FACT: Neil Armstrong’s iconic space walk on July 20 1969 drew roughly 530 million viewers worldwide. Gosling’s Armstrong is a man of his age, willing to suffocate his emotions for the good of his country. That creates havoc with his marriage, captured with a welcome 21st century spin courtesy of co-star Claire Foy (“The Crown”). She isn’t just “the wife” here. Janet Armstrong fights for her marriage while making sure her astronaut doesn’t neglect his fatherly duties. A late sequence featuring a difficult family meeting is one of a half dozen highlights. That’s not why we’re here, though. The space recreations will leave you with an advanced space camp degree. Chazelle’s team envisions every moment of space flight, from the pre-flight preparation to the awkward humor that helps the astronauts cope with the pressure. Lives are obviously at stake. So is America’s Cold War clash with Russia. That isn’t the film’s focus, but that backdrop bleeds into the narrative in inventive fashion. Gosling is the ideal choice for Armstrong. He’s often the strong, darn near silent type on screen. Here, he evokes Armstrong’s intensity without leaving too many blanks behind. The next generation of horror junkies are having a moment. A few weeks ago, Jack Black’s “The House With a Clock in Its Walls” delivered a softer, kinder horror entry. 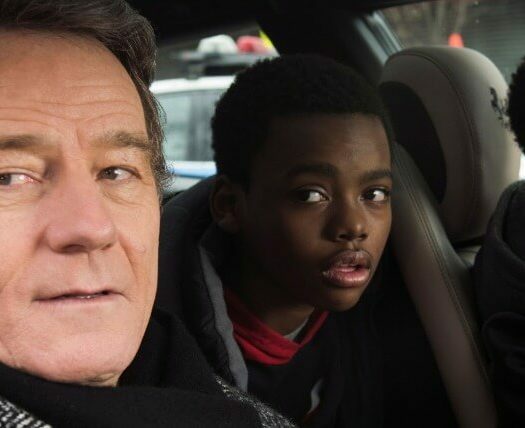 Now, the second film in the “Goosebumps” franchise doubles down on that movement. Adults weaned on the horror classics may sniff at this sequel, dubbed “Goosebumps 2: Haunted Halloween.” They’ll call out the scares and plot twists seconds before they happen. This isn’t meant for them, though. Tweens who feast on R.L. Stine’s book legacy will thrill to see more of his stories on screen, and for good reason. Sonny and Sam (Jeremy Ray Taylor, Caleel Harris) stumble upon a hidden trunk while kicking off their garbage hauling business. Their business plan wouldn’t pass muster on “Shark Tank,” but kudos to their entrepreneurial pluck all the same. The trunk contains a book holding the irrepressible Slappy, the ventriloquist dummy from the first film and countless Stine yarns. The dummy causes instant chaos, but his real plan is to unleash his fellow creatures in grand Stine fashion. So far, so perfunctory. Here, that isn’t a condemnation. The young actors are instantly appealing, as is Sonny’s older sister Sarah (Madison Iseman). We see snippets of their school life, a dash of bullying and some bonding that packs a heartfelt touch. It all resonates, thanks to natural performances and director Ari Sandel’s moderate touch. The third act gets too busy, as most kid-friendly films do over the past decade.And any film that squanders both Chris Parnell and Wendi McLendon-Covey deserves a small, but loud raspberry. It’s still engaging from start to finish, and it gets better when a returning cast member from the first film arrives at long last. We all like to be scared, which helped Stine build a spooky empire. The “Goosebumps” film franchise wisely builds on that inescapable truth without making the experience too unsettling for young crowds. HiT or Miss: “Goosebumps 2: Haunted Halloween” is bland enough for young viewers but smart enough to know what makes being a kid so special.